Today is a special day. It is Holy Thursday (or Maundy Thursday) – the day before Good Friday and the long Easter week-end, which is the Christian celebration of the Resurrection. It is the day when the Lord’s Supper or Holy Communion/Eucharist was instituted by Jesus Christ. This was made immortal by Leonardo Da Vinci in his famous fresco – “The Last Supper”. Anyway, it’s still a working day in most parts of the world, and speaking of work reminds me that all of us have used the AdventureWorks family of sample databases at one time or the other. 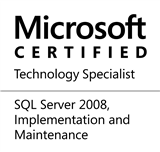 Ever since SQL Server 2005 came out, the AdventureWorks database has for me been the go-to place for studying about SQL Server, doing a quick test or demonstrating my thoughts to my managers or my team. While the AdventureWorks family of databases is easily available from CodePlex, there is no well-known place where we can go to for lookup to the description of the schema and the tables. Recently, while researching for one of my posts, I stumbled upon the entire data dictionary for the AdventureWorks family of databases. A data dictionary is a centralized repository of information about data such as meaning, relationships to other data, origin, usage, and format. Data dictionaries are commonly used to circulate copies of the database schema to vendors and technology partners, and once a product is released, this may be made available to the end customers depending upon the need (eg. to allow for customization or study). I trust that the AdventureWorks data dictionary will help you a lot in finding your way through the database. Next week, we will be resuming the Underappreciated features of Microsoft SQL Server series. This entry was posted in #SQLServer, Blog, Imported from BeyondRelational and tagged #SQLServer on April 21, 2011 by nakulvachhrajani.